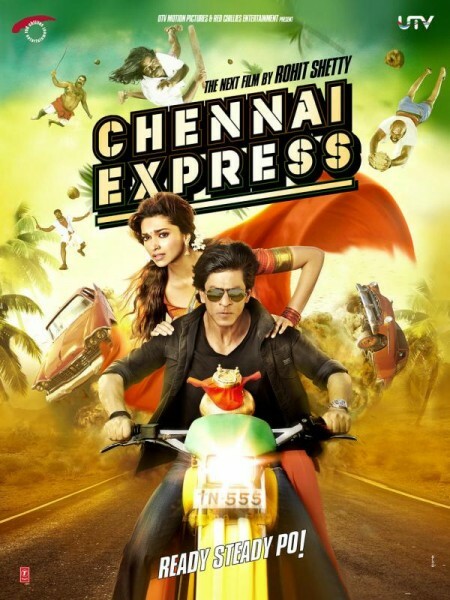 Chennai Express is an Indian comedy, action and romantic movie and it was revealed in 2013. Rohit Shetty is the director and Gauri Khan is the producer of the movie. This movie was released under the banner of Red Chillies Entertainment and Deepika Pudokone along with Shah Rukh Khan present in the main and leading roles in this movie. This couple has worked together after their last blockbuster movie, Om Shanti Om in 2007. The story of the movie is about the man, who starts his journey from Mumbai to Rameshwaram. On the way to his destination, he met with the daughter of a local don. This movie was started working on 27 September 2012 and its shooting was started in October 2012 and is completed in May 2013. This movie is proved the record breaker as it has broken the record of 3 idiots and surpassed the movie, Yeh Jawaani Hai Deewani and becomes the highest profit earning movie of 2013.